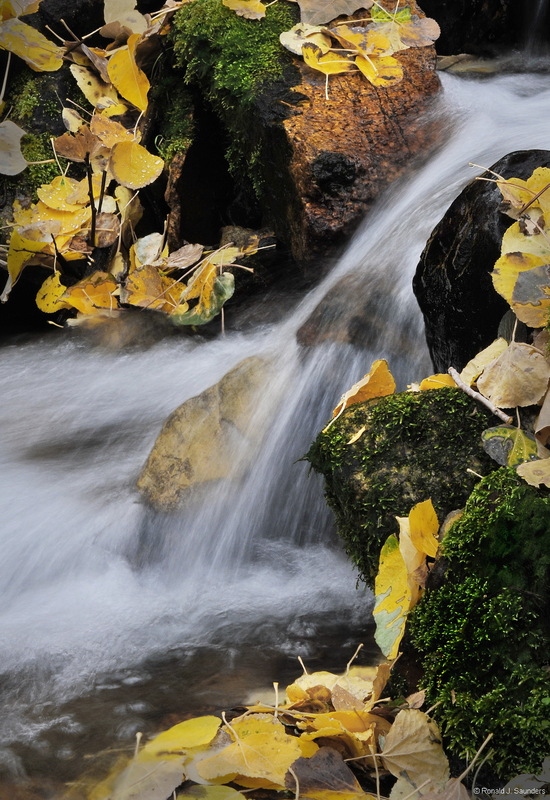 I spent a few hours at the site of this small stream that feeds Lee Vining Creek just below the dam at Lundy Lake. I did not see the spirit in the waterfall until I returned home. Photo © copyright by Ronald J. Saunders.